Measure the widest part of the hull from gunwale to gunwale. On the symmetrical hull shape of the Sea Bee this is normally half way between sections 2 and 3. The distance measured is approximatly 32″. 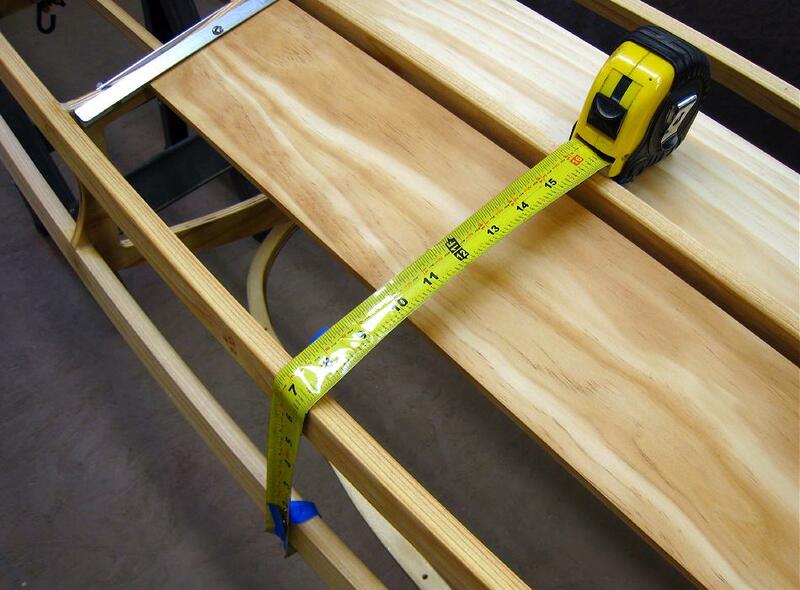 Add 2″ for overlap on each side for a total of 36″. Since the Sea Bee is 13′ 6″ long from tip to tip, add 12″ for cutting and trimming for a hull PVC section size of 14′ 6″ X 36″.